“We knew he was spectacular, but we measured three times thinking the numbers had to be off,” said Justin. 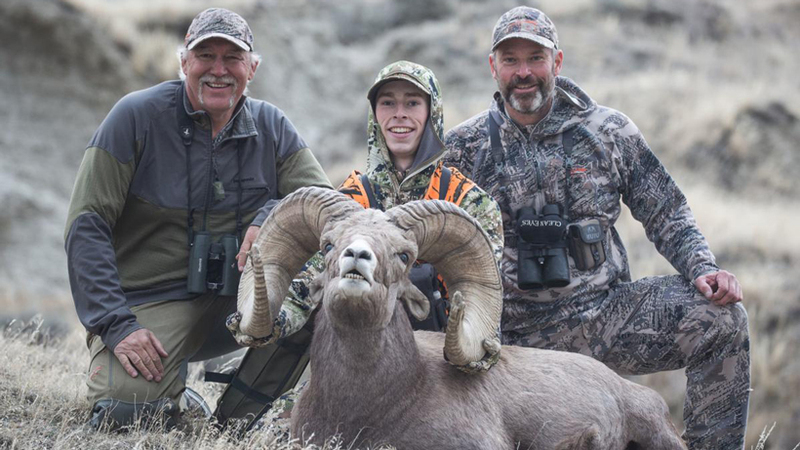 His hunting team included his dad, Ted Sheedy, and longtime Montana hunter John Lewton, who knew a thing or two about locating bighorn sheep. 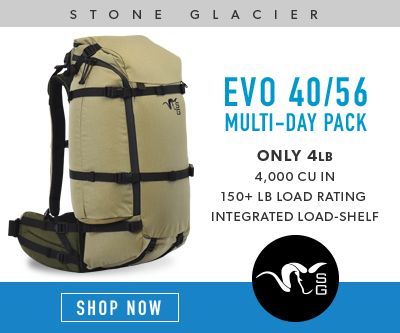 Lewton has pursued bighorn sheep during about 290 different hunts; however, it’s never been to fill his own tag. He told the Bozeman Daily Chronicle that he’s tried for one for the past 30 years and has never been that lucky. Instead, he tracks them for a different reason: to create bronze sculptures and take stunning photographs. Fortunately, for Justin, he was able to use Lewton’s know how to harvest an amazing trophy. Now, he waits for the finalized scoring, which will occur before a Boone and Crockett Club panel in Missouri. Hey everyone. INSIDERs and nonINSIDERs can comment on general articles that are open up to everyone. Like News, Skills and Life articles. 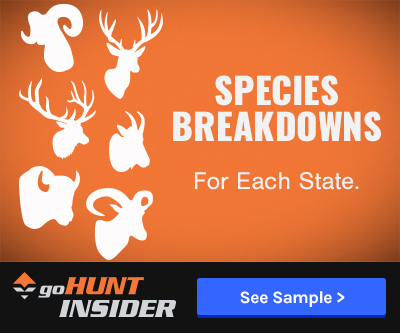 Non-INSIDERs can create an account to comment on these, as we allow the open discussion in hopes that they are in fact a hunter or maybe even don't hunt but still support hunting and would like to have a discussion about it. It is unfortunate that non-hunters can't have an honest and open discussion without going off the deep end. If they can't play nice, we remove them and we have just banned those users and I cleaned up the comments. The comments by all of you INSIDERs have been spot on! If they want to openly ask questions so we can have a nice discussion, that will be tolerated. But calling all hunters bad names... that isn't allowed. Note: please refrain from the use of harsh language when responding to back to them. Hunters especially appreciate the beauty of animals when they are alive. Hunters and their $ have done much more toward conservation of these animals than any whack job anti hunting group. Bighorn sheep are also great table fare. Don't let it get to you Gary. These morons are the same folks that can not understand that a wall on our Southern border will increase national security. Man joined this site so I didn't have to read crap like this, I agree Insiders only on comments. Great story and great ram. Congrats to Justin I'm sure he worked his tail off to get it. 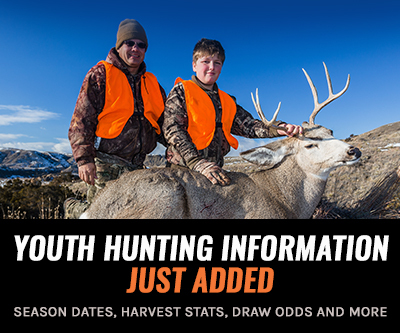 Justin and his father are both avid outdoorsman, hunters, and all around great folks. 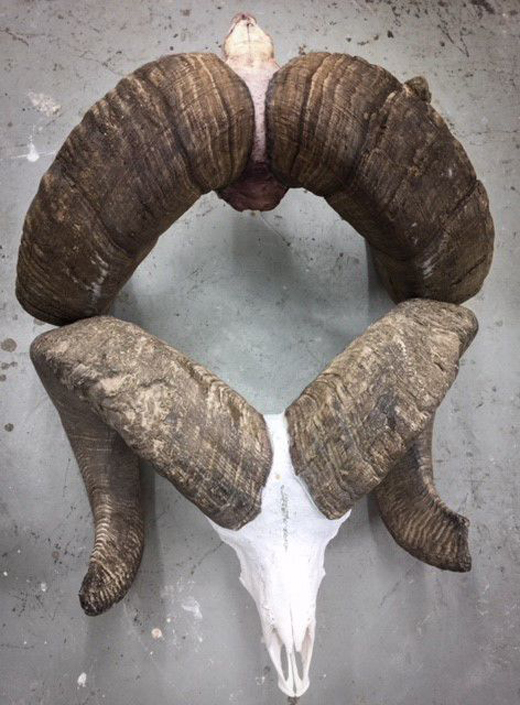 I am very happy the young man had the opportunity and "killed" a beautiful ram. Devin I think you've missed the point on hunting. It's not about the kill if hunters just liked to kill things they would pay to go kill domestic cows that they need to harvest. It's about the journey, perseverance and a whole slew of different reasons. Why don't you actually read the article and you'll see that John Lewton has been on 290 different sheep hunts and hasn't killed one. Hey Devin, quit comparing animals to people you’ll be happier. Why do I have to read comments from uneducated anti-hunters on a site I pay money for? Granted this is the first comment of its kind I have seen but maybe keep the comments limited to INSIDER members. Good for Justin! All of us are on this site because we are building points and chasing an opportunity at a hunt like this. He drew the tag at 20 years old... I am a little envious. Read about this ram earlier. Can't wait for my chance at a ram. Happy to see they still grow'em that big still. Glad he could share the hunt with others. Been on a few once-in-a-lifetime hunts, never the tag holder, but the memories are worth it.